Concrete Driveway Melbourne, Florida. 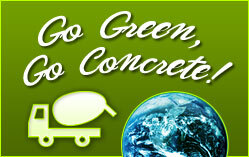 Brevard Concrete Paving, Inc. is proud to be Melbourne, Florida’s #1 Concrete and Masonry Company. We poured this concrete driveway for a homeowner in Melbourne, Florida. This concrete project included hauling the existing grass and topsoil off-site. After grading the new driveway with our Skid-Steer the subgrade was thoroughly compacted to prevent the concrete driveway from settling in the future. After the forms were set to proper alignment and grade our concrete crew then placed and finished the 3000 psi concrete with residential fiber-mesh. The concrete driveway has a broom finish. The following day the forms where stripped and the control joints were sawcut to prevent the concrete driveway from randomly cracking.